Life Entertainment GmbH i.L. specializes in developing and producing feature films, entertainment formats and TV series for the German and the international market. Both fictional and non-fictional programs are part of the company's portfolio. Life Entertainment's main objective is supporting newcomers and developing new and innovative formats beyond the media business' self-set restrictions of fiction and non-fiction. Moreover, Life Entertainment, together with MAMI (Mumbai Academy of Moving Images), supports the IndoGerman Initiative by organizing the IndoGerman Script Development Workshop that brings together some of the best screen writers, directors and producers from Germany and India to exchange ideas and discuss the possibilities of Indo-German co-productions. 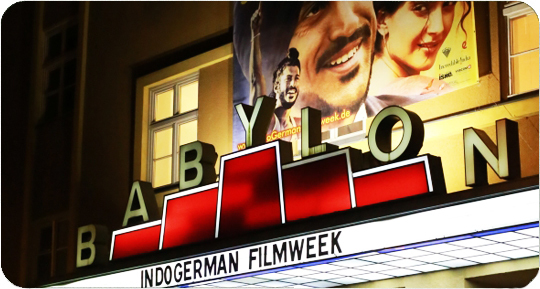 After a very successful first workshop in October 2011 in Mumbai, India, another workshop was held in February 2012, this time in Berlin, Germany, and had 100 submission from promising screenwriters who wanted to participate with their project. Nine out of those 100 were selected by a jury to be further developed over the course of several months and with the help of screenwriting experts. Founded by Stephan Ottenbruch and Alexander Thies, the company combines more than 30 years of experience in film and TV production, and 16 years of experience in the private TV business in Germany as well as event production, marketing and distribution.